July 3, 2018 | New York City, NY The New York City Council has honored Offit Kurman attorney Wojciech “Voytek” Jackowski for providing exemplary service to the city and its community. In a certificate issued on April 28th, 2018, the Council recognized Mr. Jackowski as an outstanding citizen “worthy of esteem of both our community and the great City of New York.” The honor was bestowed by Council member Robert F. Holden. 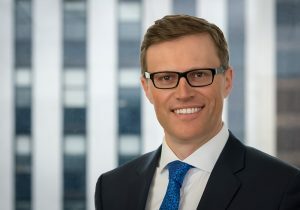 Mr. Jackowski, whose practice at Offit Kurman focuses on commercial and corporate dispute resolution, is not only a sought-after attorney and speaker, but an active advocate for the New York City business community. He currently serves as President of the Polish American Business Club, which is dedicated to forging mutually beneficial relationships between business owners and professionals in Poland and the Greater New York area. 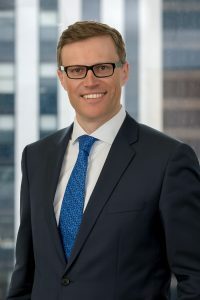 To learn more about Mr. Jackowski’s legal practice and community involvement, and to get in touch with him, please visit his attorney page on offitkurman.com.